Fiat Chrysler Automobiles is on track to be debt-free by midyear and will hit aggressive financial targets that could allow it to "outperform Ford in 2018," FCA CEO Sergio Marchionne said. The executive made the comments last week as the company reported its fourth-quarter and 2017 earnings. FCA said fourth-quarter earnings before interest and taxes rose 22 percent to more than $2.37 billion. Net profit nearly doubled to $1 billion, while total revenue in the quarter fell 3 percent to $36.11 billion. FCA reported full-year 2017 earnings last week. Here are some key 4th-quarter results. The company's key metric, its North American profit margin, rose half a percentage point to 7.9 percent, despite falling deliveries in the quarter from fleet production. The North American profit will mean $5,500 profit-sharing checks on average for UAW members, up from $5,000 a year earlier, FCA said. That will be on top of a $2,000 bonus paid to all U.S. workers, except top executives, related to U.S. corporate tax cuts. Changes in U.S. tax law are projected to save the company $1 billion a year. 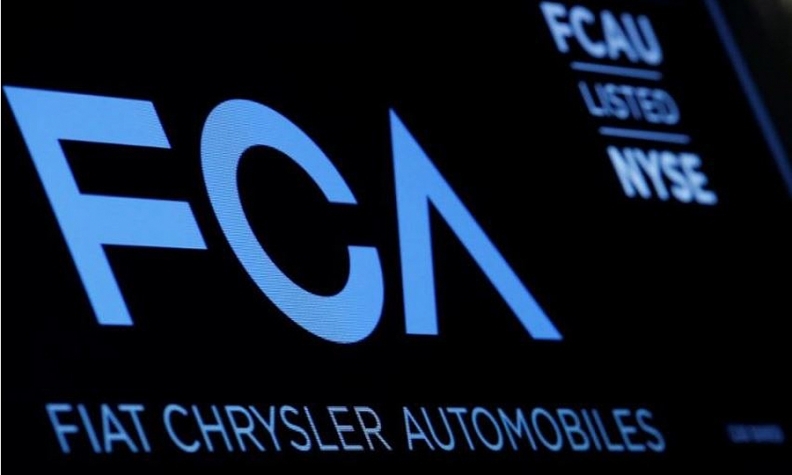 FCA is the only major global automaker with more debt on its books than cash on hand, a leftover from the condition of the former Chrysler LLC after its 2009 bankruptcy. Marchionne and CFO Richard Palmer have vowed to turn FCA cash positive by midyear. "We're now looking like we're joining the rest of the automotive ranks," Marchionne told analysts, speaking of the remaining €2.39 billion ($2.97 billion) in net industrial debt that the company intends to pay off. "We were the only leveraged automaker in the world. We're no longer leveraged. We're now fighting with equal arms." Marchionne, who says he intends to retire early next year after delivering the full-year results for 2018, will lay out a 2018-22 business plan for analysts at an event June 1 in Balocco, Italy. FCA's projected $10.8 billion 2018 earnings before interest in taxes could mean it could best rival Ford Motor in terms of profitability. "I've looked at, by the way, some of the guidance from our competitors in Detroit, and I think there is a very strong likelihood we will outperform Ford in terms of operating earnings in 2018," Marchionne said. "That's something if I told any of us in the room here that would have been doable five years ago, nobody would have believed us." Despite plans to keep the previous-generation Ram 1500 pickup in production for at least a year to answer demand from commercial fleet customers, the CEO said he was "not interested in starting a share war in the United States" with Ford or General Motors in the pickup segment. "That's not the objective," Marchionne said. The FCA board will decide in February whether to spin off or sell off Magneti Marelli and its other components businesses. Since no other automaker expressed interest in forming a partnership with FCA, the company's improved balance sheet will mean "we're going to keep running our business and running our business hard," Marchionne said. "Given the parameters of this industry, FCA is well-positioned to be a top performer, and that's all I care about." While the company will be well short of the 7 million vehicles it projected in 2014 to sell in 2018, the financial targets will be achievable because of unforeseen levels of profitability from Maserati, Jeep and Ram. But, Marchionne warned, much of 2018's performance rests on properly executing the launches of the redesigned Ram 1500 and Jeep Wrangler. "I think the biggest risk ... is that we screw up all those launches and we can't deliver the volumes. That's the real issue." Bloomberg contributed to this report.